These Foolish Things is one of a group of ‘Mayfair Songs’, like A Nightingale Sang in Berkeley Square. Eric Maschwitz wrote the lyric under his pen name, Holt Marvell. The copyright was lodged in 1936 and it was written for Joan Carr for a late-evening review broadcast by the BBC. Maschwitz was romantically linked to the Chinese-American actress Anna May Wong while working in Hollywood, and the lyrics of “These Foolish Things” are evocative of his longing for her after they parted and he returned to England. 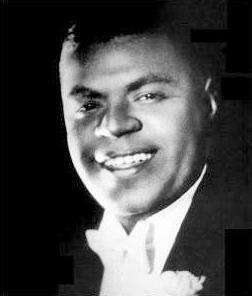 The name of an American, Harry Link, sometimes appears as a co-writer; his input is probably limited to an alternative “middle eight” (bridge) which many performers prefer. 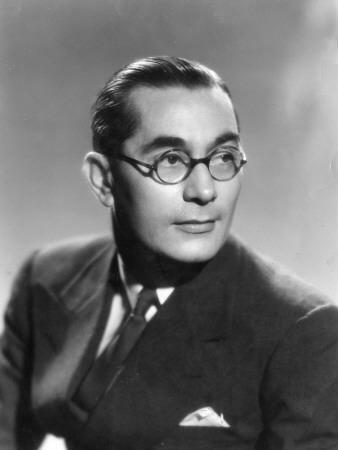 When the song was written, Maschwitz was Head of Variety at the BBC. It is a list song (Maschwitz calls it a ‘catalogue song’ in his biography), in this case working through the various things that remind the singer of a lost love. The lyrics – the verse and three choruses – were written by Maschwitz during the course of one Sunday morning at his flat in London. 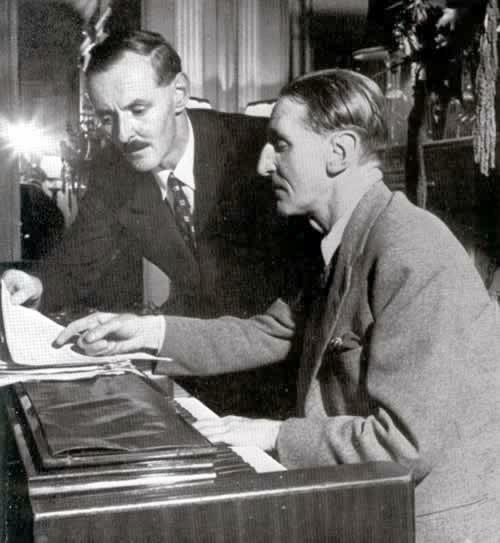 Within hours of crafting the lyrics, he dictated them over the phone to Jack Strachey and they arranged to meet the same evening to discuss the next step. Strachey suggested an alternative title, These Little Things, but this was not taken up. 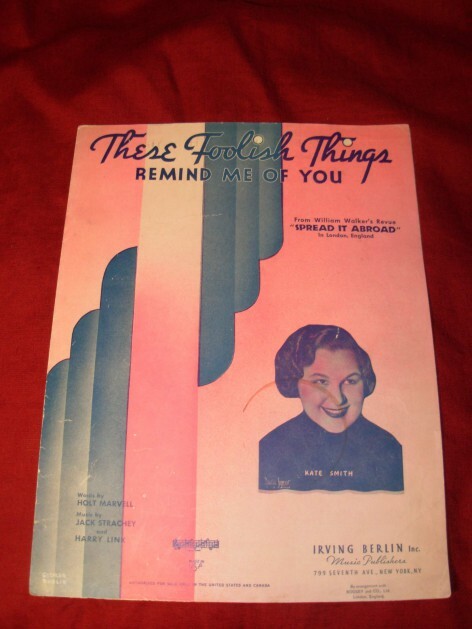 Singer/actress Dorothy Dickson introduced “These Foolish Things” in the 1936 British musical comedy Spread [I]t Abroad. 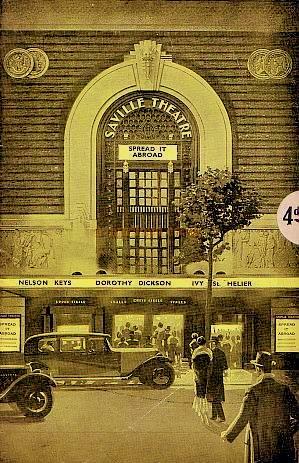 A modest hit, the production opened at London’s Saville Theater on the first of April and ran for 209 performances. 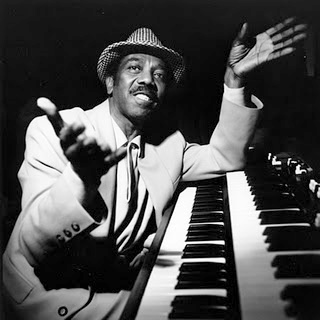 Despite being featured in Spread [I]t Abroad, a London review of 1936, it aroused no interest until the famous West Indian pianist and singer, Leslie Hutchinson (‘Hutch’) discovered it on top of a piano in Maschwitz’s office at the BBC. 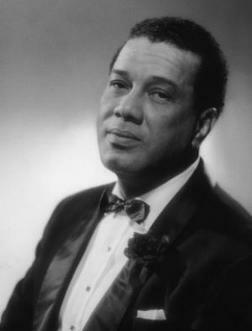 ‘Hutch’ liked it and recorded it, whereupon it became a great success and was recorded by musicians all over the world. The session number 8 signifies the eighth recording session of Holiday’s career. The first two were in 1933, followed by four in 1935. This track is from the second of five Teddy Wilson led 1936 sessions she participated in. I don’t know the lineup was for this particular recording. Personnel in the Goodman Sextet on recordings from 1939-41 included: Benny Goodman (clarinet); Charlie Christian (electric guitar); George Auld (tenor saxophone); Cootie Williams (trumpet); Count Basie, Johnny Guarneri (piano); Lionel Hampton (vibraphone); Artie Bernstein (bass); and Gene Krupa, Nick Fatool (drums). Benny Goodman — short, live instrumental performance; date unknown. According to A Bing Crosby Discography at jazzdiscography.com, this is the only commercial studio recording of the song by Crosby, but they list 11 radio performances or transcriptions from 1936 to 1953 (including three on 23 April 1953, within a medley), as well as a 1946 V-disc recording. We don’t know the exact date of this Clef session (s). 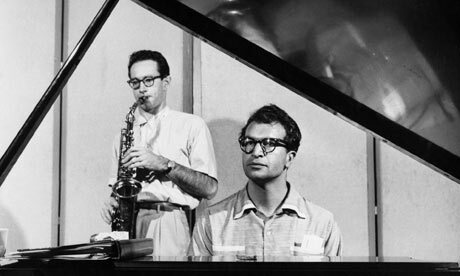 However, we know Norman Granz signed with Billie after his return from Europe in April 21st, 1952. 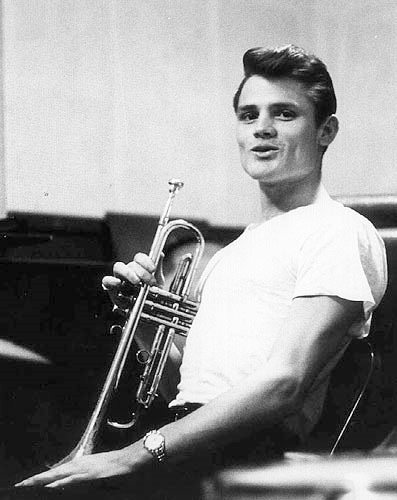 Chet Baker, the James Dean-meets-Miles Davis trumpeter moved to Rome in 1962. He gets arrested for buying dope, learns Italian in jail, and records a jazz album with the future spaghetti western composer, Ennio Morricone…the highlight of this set are the four vocal tracks released for the first time in the U.S. Morricone’s ethereal string arrangements are the perfect backdrop to Baker’s effeminate, but effective vocals, delivered in charming and grammatically incorrect Italian, with lyrics by the stenographer who worked at Baker’s trial! 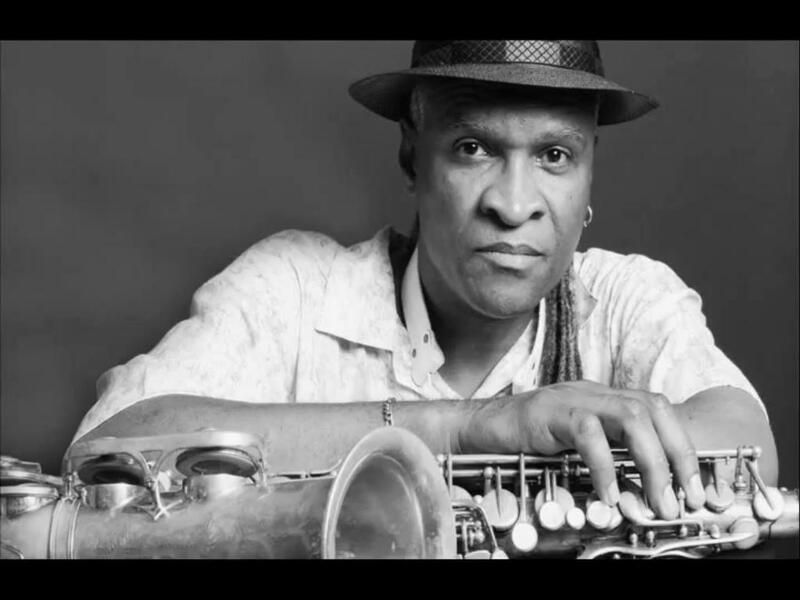 –Eugene Holley, Jr.
* Billie Holiday Songs gives the personnel for the session as Charlie Shavers (tp), Flip Phillips (ts), Oscar Peterson (p), Barney Kessel (g), Ray Brown (b), Alvin Stoller (d), and Billie Holiday (v), but indicates that the arrangement for These Foolish Things has “no horns”, “No (tp) & (ts)”. This would leave us with a quartet of Peterson, Kessel, Brown, and Stoller backing Holiday. Why then do I hear only Peterson’s obbligato piano? American and European vocalists sing different tunes for the middle eight, but the same words. Thanks. The only version by a European I’ve heard is that by Greta Keller, but I hadn’t noticed the difference until you mentioned it. Keller clearly sings a different middle eight (more often known as the bridge or release in the US, I think) than does Helen Ward in a recording of the same year. The melodies differ, and the Goodman arrangement with vocals by Ward has an eight bar bridge whereas Keller’s middle “eight” has just four bars. I have original Boosey & Hawkes sheet music (therefore English), copyright 1936 which I bought in a music shop in London in the eighties I guess. The lyrics are Maschwitz but the music is accredited to only Jack Strachey, no other name. The written tune of the middle eight is what the European singers sing and is different from, say, the tune on Wikifonia. I think. I believe Bryan Ferry does a modern version of the “English” tune, possibly following Dorothy Dickson, but I haven’t heard the latter. I’ll listen to Brian Ferry again to see if my point is proven and get back to you. I’ve just listened to Bryan Ferry. He sings the song in a stilted rather than smooth style but his definitely sings the middle eight like my “English” sheet music! P.S. 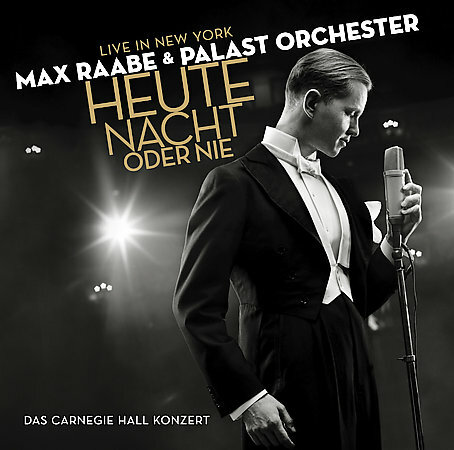 Mina’s 2005 recording, and the live February 2009 performance by Max Raabe & Palast Orchester (DVD: Heute Nacht Oder Nie: Live in Berlin, released 2010) each use the “Goodman” eight bar bridge. At least two British versions (Gibbons and Ferry) use a four bar middle section. Greta Keller’s 1936 recording also has a four bar bridge. There must have been two distinct sheet music versions. The portion of the Wikipedia profile of the song which states, “The name of an American, Harry Link, sometimes appears as a co-writer; his input is probably limited to an alternative “middle eight” (bridge) which many performers prefer.”, was modified there after this page was created and after the above comment above was made. The source of the information in the Wikipedia article regarding a contribution by Harry Link is given as De Lisle, Tim (1994). Lives of the Great Songs. London: Pavilion Books. p. 40. Previously, the nature of Link’s alleged contribution hadn’t been specified in the Wikipedia article. I only recently discovered this modification. My speculation, in the above comment dated Oct 15, 2011 @ 10:38:26, regarding how there came to be two different “middle-eights” was introduced in the absence of this information. 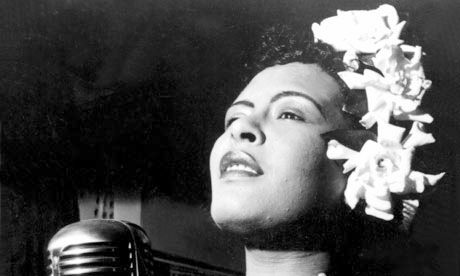 If the Wikipedia (De Lisle) claim is accurate, an alternative bridge by Link, and it’s adoption, one presumes, by Billie Holiday and Benny Goodman in 1936, may explain the presence of two distinct bridges almost from the beginning of the song’s recording history. The English original version has a middle 4, not 8, which is why the Americans changed it: basically all they did was stretch the original 4 out to 8 bars, thereby making it draggy and boring. Sometimes not very good at ‘thinking out of the box’ stuff, our Transatlantic friends. Right. My calling it a “four bar middle eight” (now modified) in the previous comment was not due to confusion, nor inability to count. The number in the term “middle eight” refers to the typical number of bars in the B or bridge section of an AABA form song. I’ve never heard of a four bar bridge being called a “middle four.” It is my understanding that the term “middle eight” is applied generically regardless of the number of bars in the section. The “middle eight” or the middle section of an AABA form song is also often referred to as the “bridge” or the “release,” terms which may be more commonly used in the US than in the UK, though, for some, the term “release” is reserved for a special case in which the B section exhibits a greater than normal contrast to the A sections. Be that as it may, all of these terms are often used interchangeably. One site indicates that other terms used to denote the same thing include channel, inside, and break. Using “break” in this sense might result in confusion, since the term is more often applied to instrumental sections (including brief transitional ones), which often include a solo or solos. Personally, I prefer the eight bar bridge versus the original four bar bridge of These Foolish Things, but not because it conforms to the standard length. To me, the four bar bridge in vocal versions sounds forced, cramped, rushed, and rather clumsy. [After the note below, from John, I added:] However, in Leslie Hutchinson’s original it sounds more natural than the other versions I’ve heard with the four bar middle section. This may, in part, be due to Hutchinson’s artful breaking and variation of the tempo in the section. Of course the prototype “English” version is that of Leslie “Hutch” Hutchinson in the late Thirties. What a stylish fellow Maschwitz was: these lyrics, his lyrics to “A nightingale sang in Berkeley Square.” and a WW2 song I love “Room 504”. Not least he served in SOE during the War and left a Lieutenant-Colonel!